Phone 1-352-378-9870 Located at 1202 NE 8th Avenue, Gainesville, Florida Take out always available! 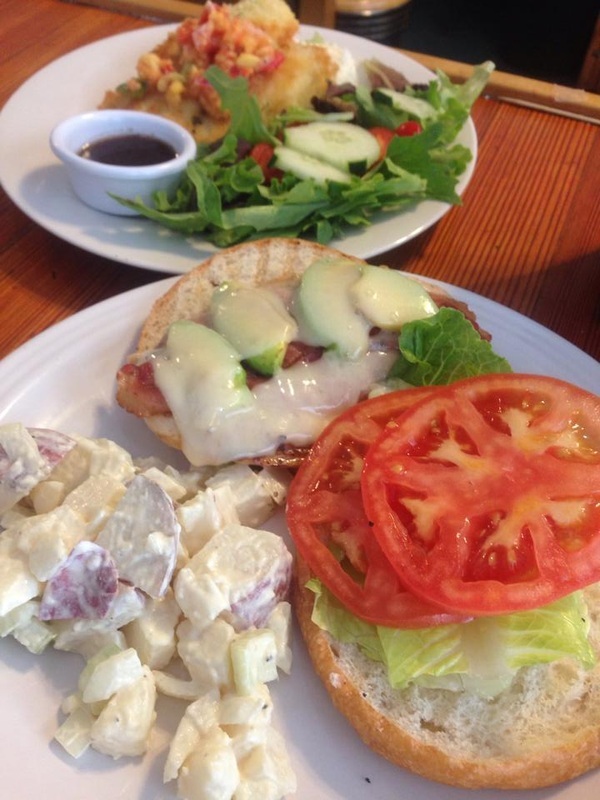 Our lunch, breakfast & brunch specials change daily. Below is a photo montage of some of our suggested offerings. Chive & Panko Crusted Flounder over our house Gouda Grits. 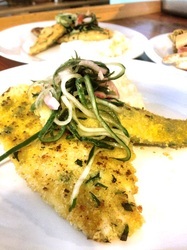 Topped with fresh cucumber slaw. 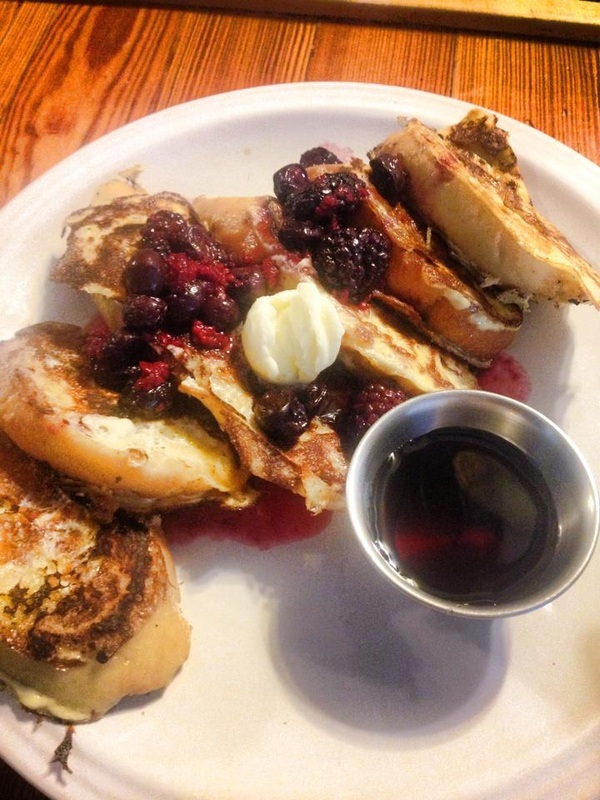 East End French Toast. With Triple Berry Compote. Servered with your choice of breakfast meat. 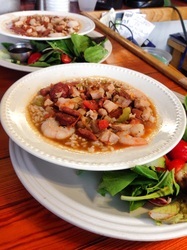 Gus's Shrimp, Chicken & Andouille Sausage Jambalaya. Served with a fresh side salad. The Hawaiian Chicken Melt. Grilled chicken breast, bacon, avocado & melted provolone. On a Kaiser Roll topped with lettuce & tomato. Served with the side of the day. 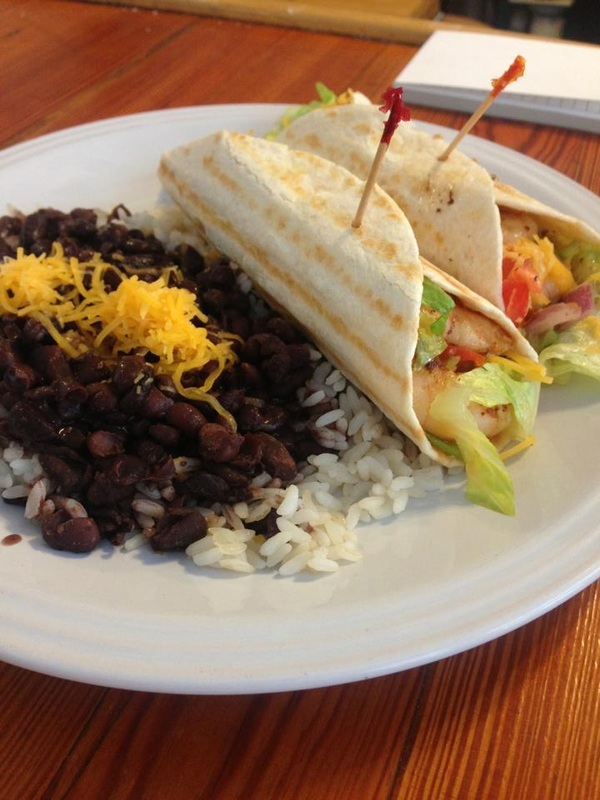 Jerk Shrimp Tacos. Two soft tacos. Stuffed with shredded cheddar, lettuce, tomato and salsa fresca. Served with a side of black beans and rice. 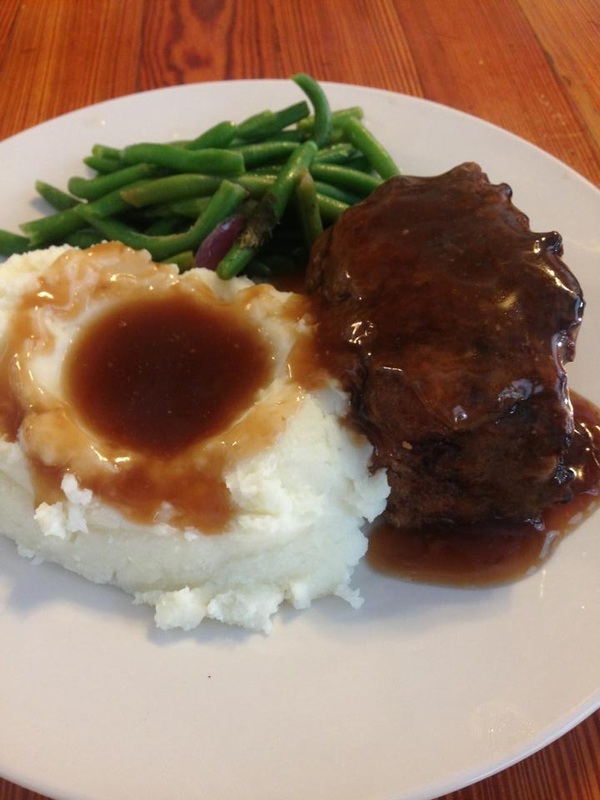 East End's Meatloaf Monday. Served with mashed potatoes & gravy and the vegetable of the day. 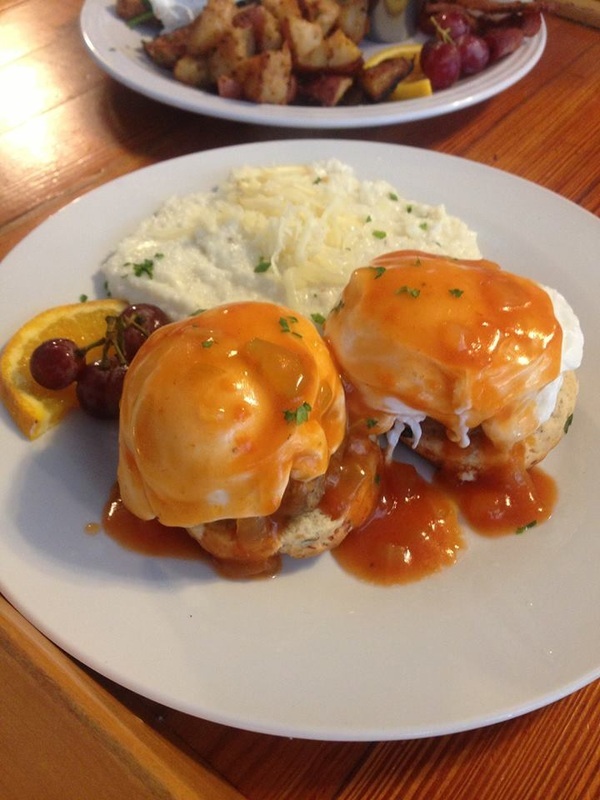 Eggs Satchmo - A Sunday brunch fave. Two poached eggs over hand pattied sausage & English muffins. Topped with our low country tomato gravy. Served with gouda grits or potatoes. 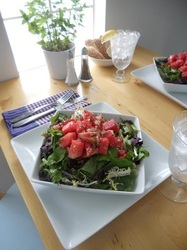 Strawberry Watermelon Salad - topped with feta cheese & mint. Over organic greens, with your choice grilled chicken or Artie's tempeh and our house red wine vinaigrette. 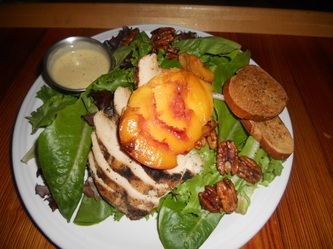 Grilled Peach Salad - Served over organic greens and topped with candied pecans and your choice of grilled chicken or Artie's tempeh. With our house citrus honey vinaigrette.